Request a Quote or Get Service Fast Today! Authorized Hyundai Forklift Dealer & Factory Certified Technicians! Be the Best Warehouse Manager Your Business Has Ever Had! We are dedicated to providing the critical sales, service & repair you need to keep your warehouse running smooth. We provide sales, installation, service, and repair for the critical equipment in most warehouses. Our technicians are OSHA trained, and Factory Certified in Hyundai and PowerBoss equipment. Currently we’re rated 4.8 stars on Google with more reviews than our competitors and growing. Benco Industrial Equipment has proudly served the material handling needs of customers in the St. Louis Metro Area and throughout the Midwest for over 10 years. Whether you’re looking for equipment for your newly purchased warehouse or you’re looking to replace aging warehouse supplies, Benco Industrial Equipment can help. We are the best source for forklift service, repair, sales and leasing in St. Louis, St. Charles, Jefferson County, and the surrounding areas! 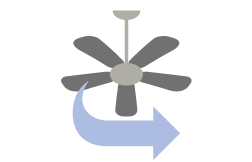 We also provide MacroAir fans, warehouse doors and docks, warehouse racks & racking, floor sweepers, and more! We respond in minutes, not days, to assure our customers always have the material handling equipment they need to keep their warehouses running smooth. 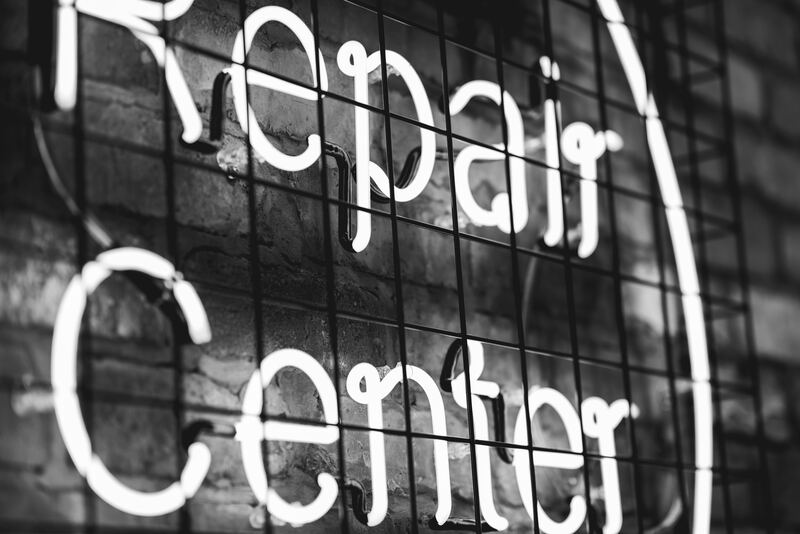 Our staff are experienced in handling all sorts of industrial equipment issues, from forklift repair to installing new warehouse doors, so no matter your need, our team of industrial equipment experts can help. Real People. Real Support. Real Stories. The key to getting the most out of your forklift and maximizing its lifespan is to keep up with regular preventative maintenance. Remember when you bought your first car and a stern older relative informed you that keeping up with your oil changes and tire rotations would save you money and help you avoid costly repairs? The same is true for the forklifts in your warehouse. Unfortunately, there’s much less common wisdom—i.e. “Change your oil every 3,000 miles”—for forklifts than there is for cars. So what do you need to do? And when do you need to do it? First and foremost, you should know that OSHA has put together an official guide to forklift vehicle maintenance. It may take a little while to read. In the meantime, here are a few tips to get you started. One of the most important OSHA requirements is to inspect each forklift daily before it’s used in order to ensure that it’s safe for operation. A daily checklist will help you make sure that all of the essential items are looked over. Fluid Levels – Fuel, water, and hydraulic fluid should all be at the right levels to ensure smooth operation. Tires – Check the pressure and the condition of your forklift tires to maximize safety and comfort. Safety Equipment – Are the seatbelts working? What about the overhead and finger guards? Brakes – Always make sure that your brakes are in good working order. Forks – Carefully inspect the forks for proper operation, and for any damage. 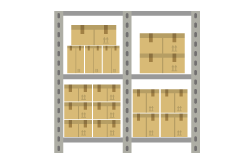 Failing to notice issues here could impact your ability to safely move items in the warehouse. Daily checks will help you notice warning signs before they become serious issues. But periodically, more extensive maintenance is required. You’ll want to set a regular maintenance schedule. When developing that schedule, there are several factors to consider. 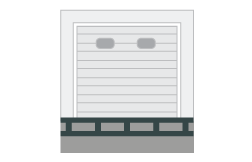 Check the recommended guidelines for the type of forklift you have—internal combustion, propane, electric—and for the brand of forklift. Typically, these guidelines will be available from the manufacturer, as is the case with Hyundai forklifts. For older forklifts, you’ll want to make your maintenance intervals closer together in order to keep on top of issues that may be developing. This is another constraint that will determine how much risk you can take on. 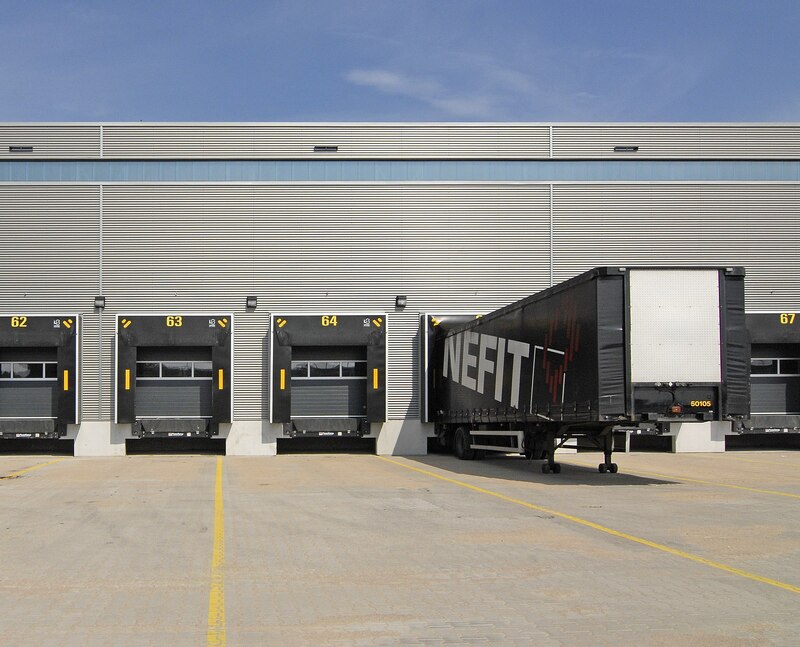 If you’ve got a large fleet with some redundancy built in, you can spread maintenance out a bit more. If you’ve got exactly as many forklifts as you need, you can’t afford to have one go down. In that case, you’ll want to be sure you stay on top of your forklift maintenance with frequent inspections. Here at Benco Industrial Equipment in St. Charles, MO, we pride ourselves on providing comprehensive forklift repair and maintenance services. 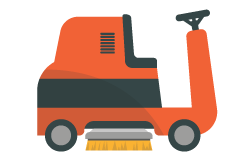 We can also help you develop a maintenance schedule that works for your forklift fleet and your business. Our job is to make sure you never miss a beat. Call us today at 636-486-1693 or 888-946-8236 for reliable forklift repair in the St. Louis Metro Area and throughout the Midwest. Christmas is around the corner and the best gift for any occasion is a Rubik's Cube that you can easily solve with this cube puzzle tutorial. Tires are a crucial component of any vehicle that drives, but they play a special role in forklifts. That’s because, unlike other vehicles, forklifts don’t have a suspension system. In your car, the suspension system absorbs the bulk of the impacts and irregularities from the road, as well as the weight of whatever you’re carrying, protecting both you and your vehicle. The difference between a smooth ride and a jarring one is the quality of your suspension. But when it comes to forklifts, that lack of a suspension system means all that work goes to the tires. They absorb the shock and impact of every bump in the warehouse floor and are often supporting several thousand pounds at a time. Making sure your forklift tires are in good working order is paramount to worker comfort and safety, not to mention the life of your forklift. Pushing tires beyond their lifespan puts your equipment at risk, and by extension your workers. So what signs can you rely on to let you know when it’s time for new tires? The wear line is the tire manufacturer’s way of letting you know when it’s time to change out the tires. As tires wear down, they lose rubber. Eventually, that loss of rubber reveals a brightly colored wear line. Past that point, the lack of rubber impacts tire reliability, so be sure to heed the warning and retire your worn tire. Chunking Chunking refers to the instance when pieces or “chunks”—of a forklift tire are falling off. You’ll find these chunks lying around your warehouse, or you’ll notice the pieces missing when you inspect your forklift tires. These missing pieces cause the tires to become uneven, which can cause the forklift to rattle as it drives, making it unstable. Another safety hazard? Those chunks lying around turn into debris that can trip up workers and equipment. Take note of the tread on your forklift tires when they’re new. When tread depth decreases by two inches or more, or if bald spots form, your tires have outlived their usefulness. 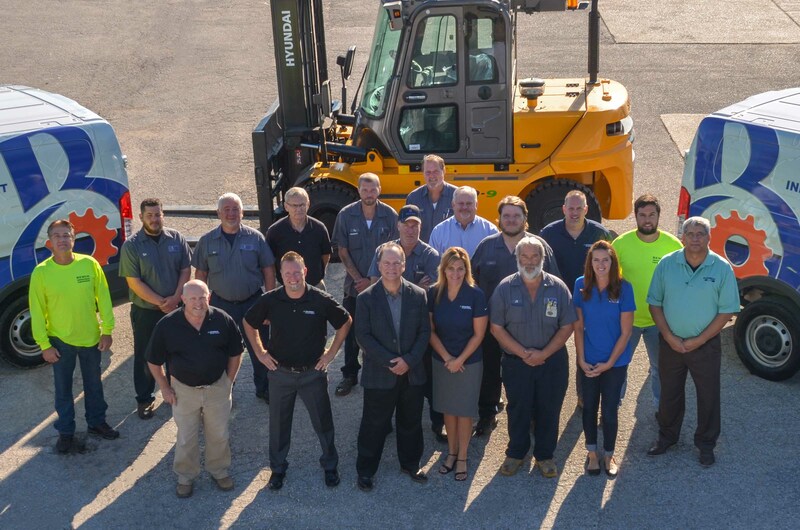 Benco Industrial Equipment is a proud forklift dealer here in St. Charles, MO. Our expert forklift repair team is here to provide repair or refurbishment services to keep your forklift running and your warehouse moving. And if you’re in the market for a new forklift, you can look to our selection of reliable Hyundai forklifts. Give us a call today at 636-486-1693 or 888-946-8236 for more information, or shoot us an email at info@bencoindustrial.com.